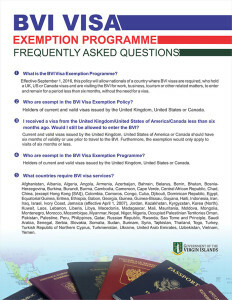 The programme will allow nationals of a country that require a BVI visa, but who also hold a United Kingdom (UK), United States of America (USA) or Canadian visa, and are visiting the Territory for business, tourism and other related matters, to enter and remain for a period less than six months. Please note that ‘work’ has been excluded as a reason to enter and remain in the Territory under this exemption programme. Premier Smith added that it is a well-known fact that the UK, USA and Canada already have a strong system for issuing visas. 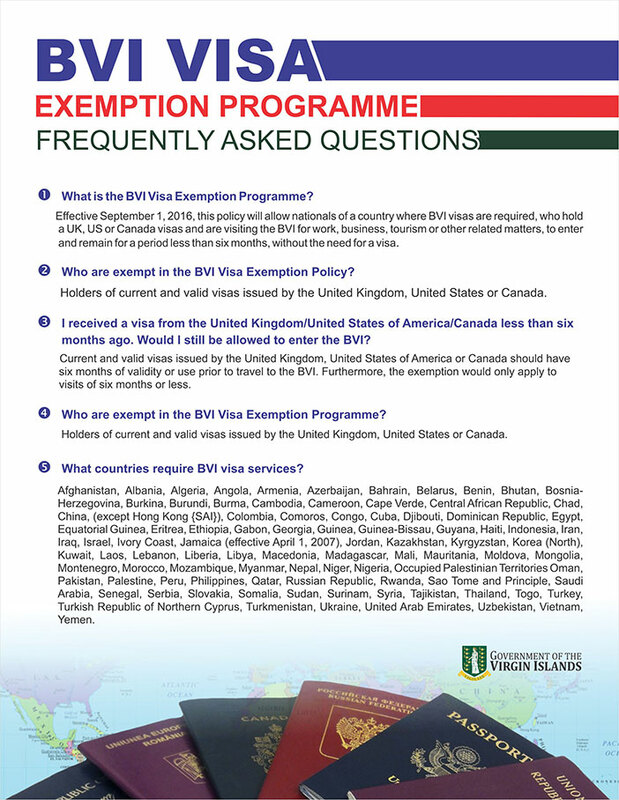 Therefore, nationals of a country that would typically require a BVI visa or a visa-waiver to enter the Territory, once they hold a current and valid visa issued by the United Kingdom, United States of America or Canada, can travel to the BVI. However, the UK, USA or Canadian visas should have more than six months of validity before travel to the Territory, and would only apply to visits of six months or less. However, there are still a large number of countries requiring visas. The Government of the Virgin Islands envisions that the next stage of its visa processes will be the implementation of an e-Visa regime to further streamline entry and facilitate economic growth for the Territory.